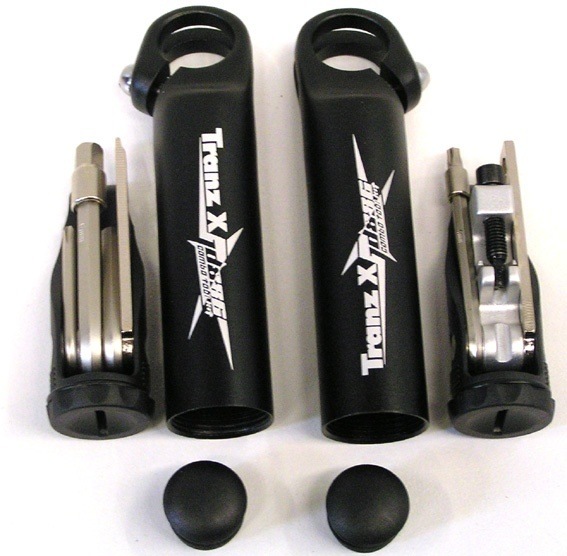 Tranz X tool kit bar ends are the ultimate accessory for riders looking to have the latest cutting edge technology. Never be stuck without tools again! 110mm long strong alloy bar ends with internal bike tool kit. Unscrew the cap on the bar ends and pull out the bicycle tool kits inside. All tools are recessed and do not rattle in the bar ends when riding!